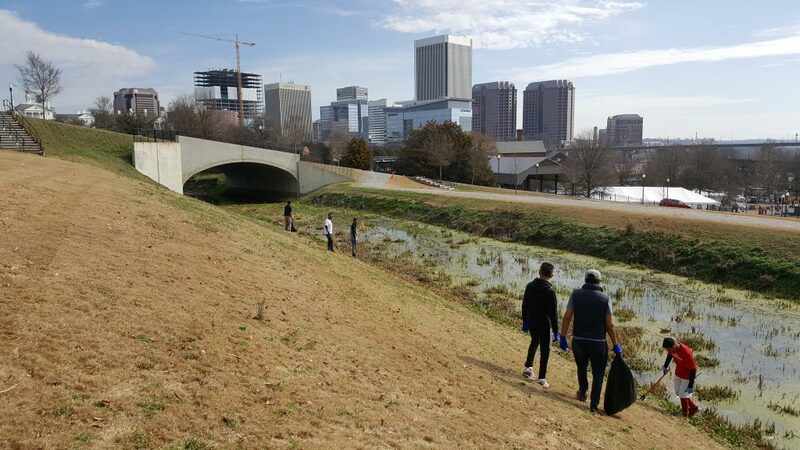 Proud Richmond area Muslims happily and eagerly picked up trash along the North Trail. Pictured, several members of the Ahmadiyya Muslim Youth Association Richmond. The group brought 16 volunteers.